High impact plastic jaw. Ideal for wide mesh head band mops. Lightweight. 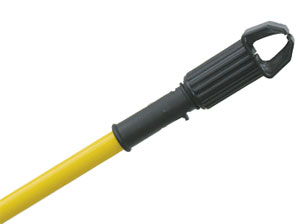 Choice of 60” hardwood, fiberglass or black plastic coated steel handle.